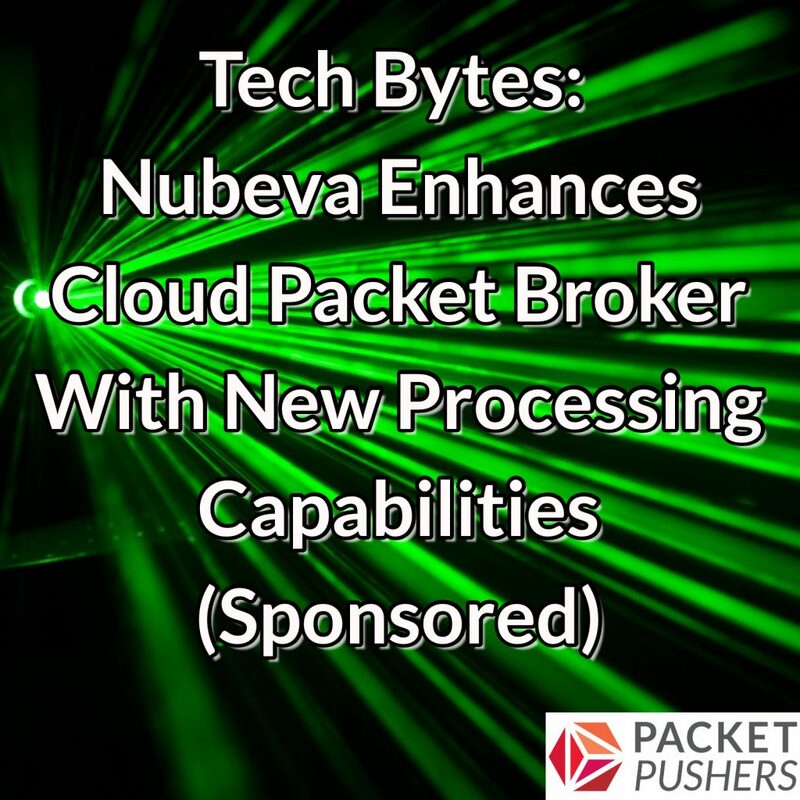 On today’s Tech Bytes episode we talk with sponsor Nubeva about getting packet visibility in public clouds. Nubeva’s Prisms agent is a cloud-based packet broker that can collect and distribute packets to processing tools in the cloud or on premises. With Nubeva Prisms you can get packet-level visibility for analysis, performance monitoring, and security. Our guests from Nubeva are Steve Perkins, CRO and Head of Product; and Erik Freeland, Director, Customer Success. We talk about the latest capabilities in Prisms, including packet aggregation, filtering, slicing, and distribution/replication.